Home / Furnace Machine / There Is So Much Involved Into Casting! There Is So Much Involved Into Casting! 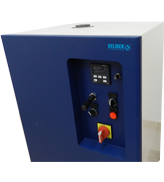 Delmer India is already known for the different types of Industries machine that it is stated in the industry of Jewellers. They also caters where is different forms of static furnace and mating machines that I needed in such industries. working in the industry for endless number of years now they have got not only experience that they can backup with but they also backed up by the support of the professionals their technical skills and they experience all combined together to bring forward a qualitative range of static melting furnace machine. The machine is well manufactured by using the best quality raw material and modern technology combined. The machine is liked by our clients owing to its longlife of the machine and minimal maintenance requirements, this static furnace and melting machine at most affordable price. This is one of the main reasons why industrial clients are always in favour of getting industrial machinery from Delmar India as they provide some of the best industrial machineries there are there for us to use. It is so important that whatever machines you have and you use how to be a good quality otherwise it can lead to big accidents in your industry which can also means that the are is a lot of scope for deaths, no owner of an industry would want any such incidents to happen in their company that can create an negative impact on the company. Therefore, whenever it comes to buying statics furnace and melting machine you always have to go with Delmer India and get the best quality of machinery is possible in India that is very low and maintenance as well.